UCLA Bariatric Surgery provides cutting edge diagnosis and treatments, and supports a staff of renowned physicians, surgeons and researchers. Demonstrating continued excellence in the field of Bariatric Surgery, UCLA Bariatric Surgery is often the subject of stories in newspapers, magazines, and journals. The Department also issues news releases to keep the community informed on the latest developments in Bariatric Surgery, the treatments available at UCLA. We include here a collection of stories for your further information. By Quora Contributor - Featuring Dr. Yijun Chen. Calorie balance is the most important element in weight loss. As the Centers for Disease Control and Prevention puts it: “If you are gaining weight, you are eating more calories than your body is using.” Calories play a big role in controlling your weight. Are The Risks Of Bariatric Surgery Worth It? By Quora Contributor - Featuring Dr. Yijun Chen. Like any surgery, bariatric surgery has its own risks. In the past, bariatric surgery had high complication rates, but the safety of bariatric surgery has improved dramatically over the past 15-20 years. In fact, nowadays, bariatric surgery is as safe as the commonly performed gallbladder removal surgery. By Quora Contributor - Featuring Dr. Yijun Chen. Having bariatric surgery is a major life decision. All prospective patients need to understand the risks, benefits, expected outcome and potential life adjustment after surgery. Our team recommends that people who are considering surgery for weight loss research information online using trusted medical websites, attend seminars, and speak with their medical care team. By Linda Carroll - Featuring Dr. Yijun Chen. Most obese patients who qualify for weight loss surgery don’t seek it out, and that may be due at least partly to stigma, a U.S. survey suggests. Nearly half of randomly-chosen survey participants said they believe the procedure is usually done for cosmetic rather than health reasons, and about 40 percent thought people who choose the surgery have taken “the easy way out,” researchers report in JAMA Surgery. Prepare to get really, brutally honest with yourself. By Mallory Creveling - Featuring Dr. Erik Dutson. Let's get one thing out of the way right now: Weight-loss surgery isn't just a lazy way to drop a few pounds, especially if you've got more weight to lose than you care to admit. 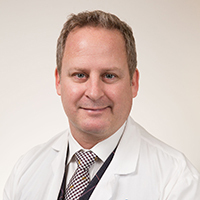 Real talk: “The chance of a very obese person maintaining weight loss with diet and exercise alone—or even on medications—is about 2 percent after six months,” says Erik P. Dutson, M.D., clinical professor of surgery and chief of UCLA’s section of minimally invasive and bariatric surgery. By Markham Heid - Featuring Dr. Erik Dutson. Weight loss surgery gets a bad rap. It’s often viewed as a “quick fix” for those who don’t have the drive or discipline to drop major pounds through healthy eating and exercise. But the truth is that weight loss surgery is a lot more complicated than that. 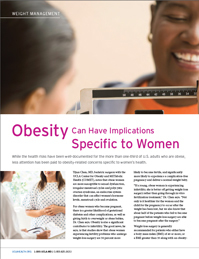 While the health risks have been well-documented for the more than one-third of U.S. adults who are obese, less attention has been paid to obesity-related concerns specific to women’s health. 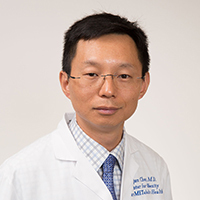 Yijun Chen, MD, bariatric surgeon with the UCLA Center for Obesity and METabolic Health (COMET), notes that obese women are more susceptible to sexual dysfunction, irregular menstrual cycles and polycystic ovarian syndrome, an endocrine system disorder that can affect women’s hormone levels, menstrual cycle and ovulation. Dr. Dutson discusses weight loss surgery and New Jersey Governor Chris Christie's recent LapBand procedure. When you are making a decision about weight-loss surgery, make sure your bariatric surgeon discusses the pros and cons of all approved weight-loss operations. Bariatric surgery is a life-changing event and you must make informed long-term decisions based on all available information. Admittedly, this is not always an easy decision for patients, especially since consumers may be faced with conflicting and confusing information in the lay press and in advertisements. Many articles have been published in the past few years to address these questions, but very few have met the strict scientific criteria of being randomized and bias-free. Two recent articles published in the February 2011 issue of the Archives of Surgery, a prestigious surgical journal, have done precisely that. In one study, researchers from the University of California, San Francisco (UCSF) compared 100 patients who had the adjustable band to another similar 100 who underwent gastric bypass. At one year, the overall complication rate was similar for both groups. However, when compared to the bypass group, the band cohort had a higher reoperation rate (13% vs. 2%), a lower overall weight loss (36% vs. 64%), and an inferior rate of diabetes resolution (50% vs. 76%). The reported quality-of-life scores were also higher in the bypass group. The UCSF surgeons had a very high follow-up rate, and it would be interesting to see their long-term results since in longer-term European band studies, reoperation rates went up and success rates down over time, leading to a marked preference in using vertical sleeve gastrectomies. The second article reported results from research in Taiwan. The study divided 60 people with poorly controlled diabetes into two groups: one set had the gastric bypass and the other had vertical sleeve gastrectomy. They found similar rates of weight loss at one year. However, whereas the gastric bypass group resolved their diabetes in 93% of cases, only 47% of the sleeve patients achieved the same milestone. Other factors, such as improvements in lipids and waist size, were also better in the bypass group. The authors concluded that at least as far as diabetes is concerned, the gastric bypass operation is a better procedure. Since their results are very different from those published in the West or even India, it might be related to that specific patient population. Ethnicity aside, the participant’s BMI was less than 35, which would not typically qualify patients for surgery here in the U.S. Whether or not these two factors play a role, remains to be seen. Two U.S. randomized trials are in progress that compare best medical practices in diabetes management to gastric bypass and sleeve gastrectomy. If you have any questions, we recommend that you attend one of our free patient information seminars or postoperative support meetings. You can find information about times and location on our website at http://surgery.ucla.edu/bariatrics or by calling us at (310) 825-7163. The past decade has witnessed the emergence of metabolic surgery as the most effective and durable treatment for morbid obesity and its associated illnesses such as diabetes, high blood pressure, hyperlipidemia, sleep apnea and premature degenerative arthritis, just to name a few. Furthermore, advances in surgical techniques and patient care have made bariatric surgery much safer than in the past. As a result, the number of patients undergoing weight-loss surgery has risen more than 10-fold since the mid-1990's. In the past few years, multiple articles have been published in medical and healthcare financial journals which support the cost savings associated with bariatric surgery for both patients as well as the healthcare system. Using large administrative records, two independent studies from Massachusetts and Minnesota came to a similar conclusion that in spite of initial increased healthcare expenditure related to gastric bypass surgery, their payor systems recouped their costs at 2-3.5 years as a result of improved overall patient health and longer term reductions in utilization of medical services. Benefits of bariatric surgery to patients include improvements in conditions associated with obesity (diabetes, high blood pressure, etc.) in 60-85 percent of cases as well as improved quality of life. Following weight loss, these patients take fewer prescription medications; one study from Johns Hopkins University of 6,000 patients demonstrated up to a 75 percent reduction in medication use for patients with diabetes, high blood pressure and hyperlipidemia. Similar patients who had not had bariatric surgery showed a 20 percent increase in similar medications. A study with a smaller group of patients done by our colleagues at UC Irvine found an average yearly savings of more than $2,000 per patient in reduced medication costs. Patients who are contemplating weight-loss surgery must meet certain guidelines as it may not be the right choice for everyone. Bariatric surgery, furthermore, requires a complete commitment to changes in lifestyle and eating habits and its success depends on maintaining those habits in the long run. If you would like to find out more, please visit our UCLA Bariatric & Metabolic Surgery Program website or contact us at (310) 825-7163. You are also invited to attend one of our free seminars held on the UCLA medical campus. There is no need for pre-registration and attendance is free and open to all. The seminar schedule can be found on our website home page. The American Cancer Institute published an alarming and well-publicized study in 2009 about the link between various forms of cancer and obesity, reporting 100,000 extra cases each year in the U.S. alone. Breast and gynecological cancers constituted more than half of these cases, and the rest were divided between colorectal, esophageal, kidney and biliopancreatic malignancies. The cause for this increased risk is not well-known and may have to do with metabolic and hormonal changes associated with obesity, as well as mechanical factors such as increased reflux leading to esophageal cancer. Bariatric surgery has been shown to reduce the risk of many such cancers, either by reducing weight and normalizing these hormonal changes or by mechanisms that have yet to be clarified. Multiple reports have been published in the medical literature in the past few years demonstrating this positive effect. Researchers at the University of Virginia in 2009 compared 1,500 morbidly obese women who had bariatric surgery to 3,500 who did not and found a 40% reduction in cancer rates in the former group. These malignancies, furthermore, were diagnosed earlier and at a younger age, which theoretically should lead to a better prognosis. Similar findings were reported by another group in Canada in 2008. Over a 16-year period, they found a 2% cancer incidence in more than 1,000 bariatric-surgery patients versus 8.5% in more than 5,000 non-operated obese women. The biggest difference was seen in the incidence of breast cancer. In a cohort of more than 4,000 patients followed for 10-15 years as part of the often-quoted 2007 Swedish Obese Subjects Study, the death from cancer incidence was also cut by 40% after bariatric surgery. And finally, the 18-year Adams study from Utah of almost 10,000 subjects cited a 60% reduction in cancer deaths. Whether or not you already have had bariatric surgery or are considering it, you must discuss your obesity-related malignancy risks with your primary care physician, especially if certain types of cancer run in your family. Routine screening for various forms of cancer is life saving but not often done for a variety of reasons. Similar to bariatric surgery, the outcomes depend on you and your vigilance. It is your health, and you should take charge of it.